For International Airport Review Thomas Toftevåg, Head of the Airfield Maintenance Section at Oslo Airport, explores the ways in which the airport plans and prepares for harsh winter conditions and illustrates the importance of looking back and learning from the events and activities of previous winter months to improve future operations. Oslo Airport has 26 personnel dedicated to winter and airport maintenance and they work 24/7. If we have periods without wintery conditions, those employees are deployed to work on other airport maintenance tasks such as asphalt, joints, green areas, waste disposal, transportation of goods and also supporting terminal operations. Group 6 works on landside. 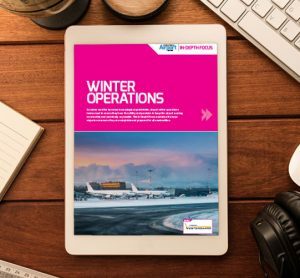 In general, Oslo Airport is ultimately responsible for all maintenance and our own personnel must be able to conduct winter operations across all areas when necessary. Our preparations for the coming season are an ongoing process. During the winter we carry out regular evaluations. Some findings are implemented immediately but others are postponed to next season due to a variety of factors such as complexity, benefits or training needs. Our snow removal plan is optimised by years of experience. 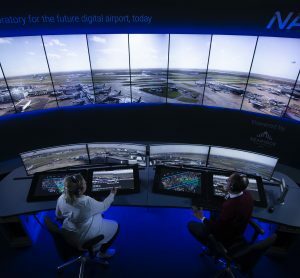 We strive to have a standardised driving pattern in order to be predictable for the benefit of air traffic control (ATC), the importance of whose close cooperation cannot be emphasised enough. Predictability is key to ensuring high punctuality in winter conditions. Experienced personnel, well-functioning equipment, speed and comprehensive planning are decisive factors to ensure effective maintenance. Prior to each season we re-authorise our snow removal leaders. We have training for each personnel category and during the summer and autumn months we conduct maintenance and readiness checks on equipment. Between September and early November approximately 300 individuals engage in theoretical and practical training. Training is differentiated by type of personnel (new or experienced), machines, groups and area of responsibility (roles). The courses have some recurrent themes as well as some topics based upon last season’s evaluation, such as updates and changes to rules and regulations, airport knowledge, HSE, plans, sand and chemicals, ATC etc. The previous three seasons have witnessed challenging freezing conditions. 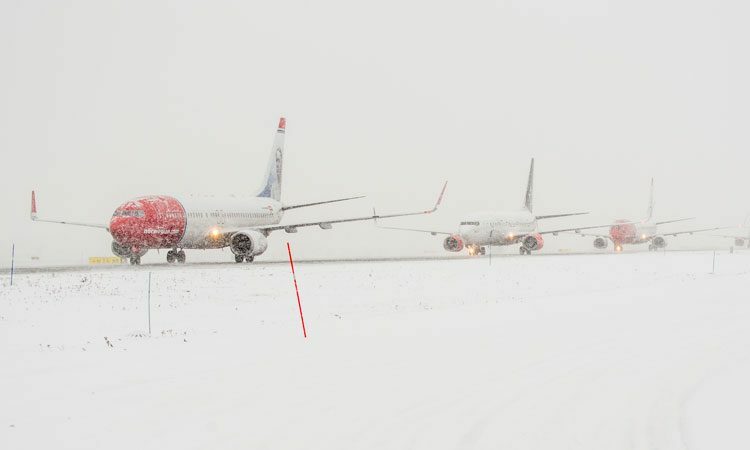 Historically, Oslo Airport has experienced quite stable and cool winter months, but we are increasingly experiencing climate conditions that fluctuate from minus to plus degrees. These situations require a more proactive response in our operations, whereas snow and cold conditions are more reactive. Is also seems that forecasting such weather is becoming more challenging. Oslo Airport has prioritised procedures to enhance competence among our winter service personnel to predict and act according to sensors and ­– most importantly – local knowledge. Sensors are not regarded as ‘truth’ but rather a decision support tool. During the latest season we experienced several occasions when both ground and air temperature, plus rain, dropped into minus degrees. Responding in a timely fashion, we managed to maintain safe and secure conditions, more or less without significant impact on regularity and punctuality. In March 2015 we encountered 45cm of snow fall within 24 hours. The intensity of snow was up to 5cm per hour. In general, we have a robust action plan with experienced personnel and capable equipment, but in those particular heavy snow conditions we had to close the airport for 90 minutes. In light of this occurrence, we carried out analysis and made a contingency plan for excessive amounts of snow fall. In addition, we included an analysis of what to do if freezing conditions were not forecast and we were unable to manage to work proactively. In short, we pre-planned which areas to not perform winter maintenance on, yet would still provide sufficiently functioning areas to keep a certain flow. 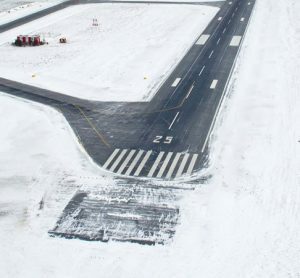 In the event of icy conditions, we prioritised which areas to work mechanically to open the airport as soon as possible. After each winter season we conduct a thorough evaluation in which we not only include personnel from airfield maintenance, but also other areas whose input we value greatly. These include ATC, flight parking, the mechanical workshop, the electrical department, water and sewage and aircraft de-icing operators. Each year our standard winter maintenance plan is revised and our findings determine which topics to focus on in the next season’s training programme. Oslo Airport has implemented the use of biodiesel on all winter equipment. We started testing in the 2015-2016 winter season – some with only biodiesel and some with a mixture of biodiesel and regular diesel. We have not experienced any malfunctions or breakdowns due to using environmentally-friendly fuel. Neither reduced effect. However, there is a significant difference regarding the purchase of environmentally-friendly fuel, as all equipment we have tested has been in cooperation/acceptance with suppliers. 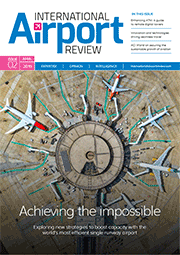 Oslo Airport also has a project regarding the cooling of the terminal by means of snow usage. We have built a site where we deposit approximately 100,000m3 of snow which we cover with wood chips. This facility is built to cool down our new T2 terminal. It has been operational for one year and the results from last summer were positive. The usage of runway de-icing chemicals is also an environmental challenge and we have bought sprayers to optimise usage. In addition, we always remove as much contamination as possible prior to usage. This is to enhance the operational effect in time. Furthermore, we are increasing the numbers of electrical administrative vehicles in our fleet; if possible we aim to replace fossil-fuel operated cars with electric vehicles. We have a good working relationship with our suppliers who include: Øveraasen for sweepers and snowblowers; Damann for chemical spreaders; Addcon Nordic for chemicals; Schmit for sand spreaders and the Swingo small sweeper; Volvo for their wheel loader; and Trade Wind/SARSYS for reporting and friction measurement. We often suggest changes regarding machinery and sometimes different suppliers – both those we already work with and those we don’t – ask us to test out their equipment. For the maintenance of machinery our workshop sometimes purchases services from suppliers to accomplish their operational availability goals. 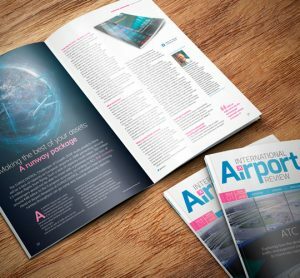 Going forward we have to adapt to the new ‘global reporting formats’ via training and reporting tools and we aim to take part in ongoing discussions with our suppliers to ensure that we are at the forefront of technological innovations, which is a crucial element for an airport such as ours. Thomas Toftevåg holds a masters in military studies from the Norwegian Defence Command and Staff College. 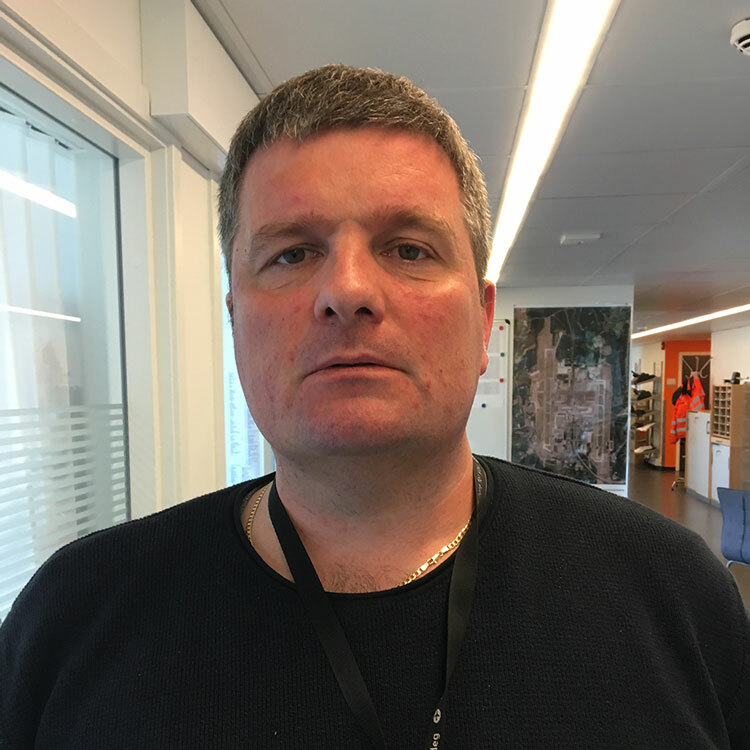 He has worked at Oslo Airport for five years managing the Airfield Maintenance Section. Prior to this Thomas worked for the Norwegian Air Force for 20 years.